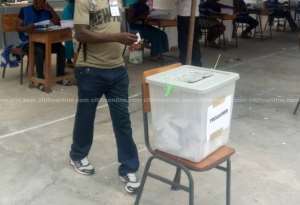 For security reasons, five constituencies in the Northern Region have been isolated from the nationwide constituency elections which started today, Saturday February 24, 2018. These comprised Yunyoo, Bimbila, Daboya/Mankarigu, Nalerigu/Gambaga and Karaga, which have been identified as political hotspots. The first phase of the elections were held in 24 out of the 31 constituencies, and these included the four main Tamale Central, Tamale North, Tamale South and Sagnarigu. The second phase scheduled for Sunday, February 25, 2018 will be held in Salaga South, Salaga North and Zabzugu constituencies. The NPP Northern Regional Communications Director, Issahaque A. Latif, told Citi News that the elections would be conducted in a total of 2,676 polling stations. He described the first phase as generally peaceful, and anticipates that the whole exercise will be devoid of upheavals. Issahaque A. Latif called for a united and a formidable NPP after the constituency elections.